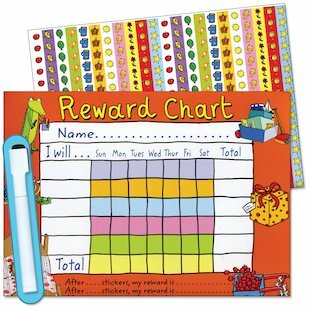 Make sure good behaviour always goes rewarded with a bright, motivational wipe-clean chart. Packed with colourful, imaginative stickers to celebrate all kinds of achievements, it’s a great way to reward good behaviour and set goals. Day by day or week by week, write in the things you’d like to achieve. Choose your targets and rewards, and add stickers as you work. And when you’ve met your goal, just wipe the chart clean! 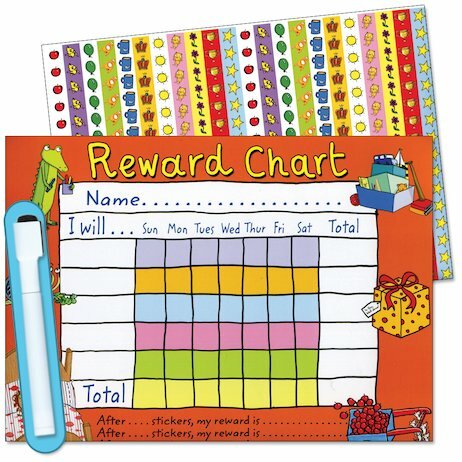 Includes an A4 reward chart, wipe-clean pen and stickers.